Siberian Branch of the Russian Academy of Sciences is the largest integrator and the main expert of research and development, scientific educational, experimental design and industrial organizations in the Eastern Russia. Mikhail Alekseevich Lavrentyev (his name is often transliterated as Lavrentiev or Lavrent'ev) was an outstanding Russian scientist. One of the founders of the Siberian branch he was its first chairman from 1957 to 1975. Mikhail Lavrentyev made a significant impact in the development of mathematics and mechanics in the 20th century. He worked on the theory of quasi-conformal maps and two-dimensional flows. His research has always been close to practical applications. Lavrentyev was one of the pioneers of the use of explosives in the construction industry. Later Lavrentyev was involved in the development of the first Soviet digital computers. Lavrentyev was one of the founding fathers of the Moscow Institute of Physics and Technology (PhysTech) and laid grounds of the so-called PhysTech system. Undoubtedly his most significant achievement was the foundation of the Siberian branch, a new research complex in Siberia. 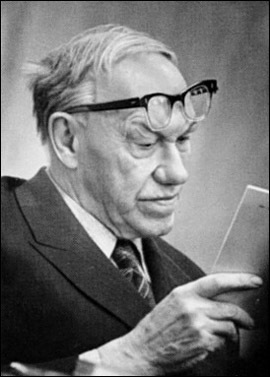 Mikhail Lavrentyev was awarded the Lenin prize in 1958, and state prizes in 1946 and 1949. In 1967 he received the Hammer and Sickle gold star, the highest honor in Soviet Union for nonmilitary achievement. Mikhail Lavrentyev was a member of several foreign academies of sciences and a honorary citizen of Novosibirsk.